from TBE to Blank Slate for a tasty treat! 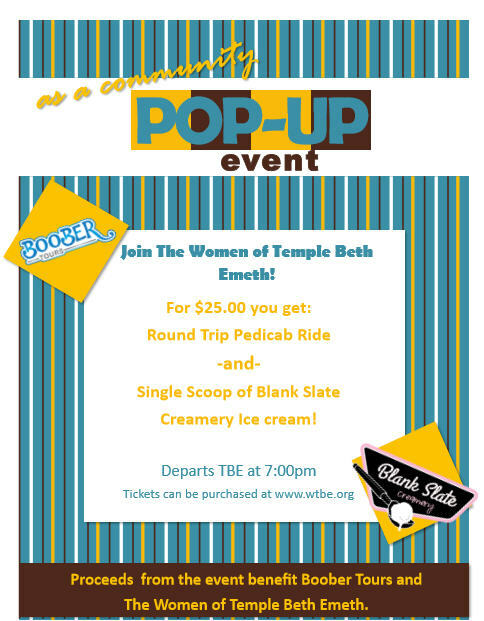 $25 round trip includes a single scoop of Blank Slates(cup or cone) finest ice cream! Check out the story of BOOBER TOURS and their mission to give back to the community. Purchase your ticket (round trip + ice cream) now.